At around 1700s, the Isle of Skye and other highlands in Scotland were already producing lots of small terriers. Scottish breeds were separated into two: the Skye terriers and the Dandie Dinmont terriers. The Dandie Dinmonts were categorized as a separate breed. The Skyes included the Scotties, the Cairns and the West highland white terriers or the Westies. 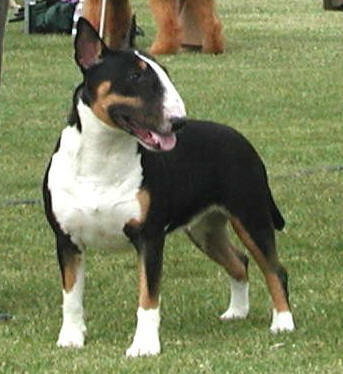 It was also noted that these terriers were the hybrids among the crossed Cairns, Scottish, and Dandies terriers. One could assume that the hybrid would really be loyal and its hunting instincts could not be belittled. In fact, many royalties in Scotland owned terriers that were very similar to the Westies of today. Another remarkable story is about a Westie that stopped a mother from constantly yelling at her daughter. Every time the mother would yell at her teenage daughter, the Westie would attack the mother. The aggression of the dog got worse over the years that resulted in the mother's complete inability to scold her teenager. It turned out that the girl was actually rewarding the dog for his protection by calming and soothing him down after every "threat" from her mother. Many would perceive that the daughter was able to help her mother to change her ways when in fact she was helping herself by rewarding the dog for its behavior. • Their coat should be brushed regularly using a brush with stiff bristles. • They should bathe only when necessary. • Their whole coat should be stripped at least twice a year and trimmed every four months. • The fur on the eyes and ears should be trimmed using blunt-nose mirrors. • They will surely be more agile and healthy after regular sessions of play and/or walk. 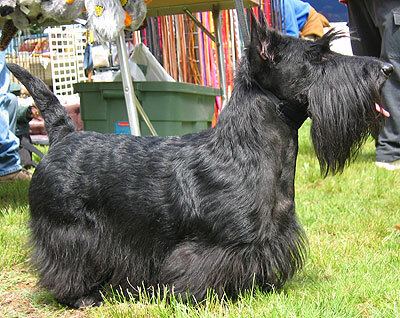 As noted, they share the same lineage with Cairns and Scotties (from Skye terriers), and even with the Dandies. This trio was developed in the Isle of Skye, which was one of the highlands in Scotland. It was noted that white whelps were chosen from the wiry-coated Cairns, Scotties, and Dandies to produce the variety that were known as Poltalloch terriers. Following are some items in the history that show the Westies' reputation of being owners' favorite companion dogs. Records in the history mentioned that around 1620, King James 1 of England requested some small white dogs from Argyleshire in Scotland. Colonel Malcolm, who was considered as the originator of Poltalloch terriers, that are very similar to the Westies of today, accidentally shot his terrier (a dark one). From then on he vowed to have only white terriers. In the 19th century, terriers that were very similar to the Westies were known as Roseneath terriers in honor of Duke of Argyll's interest and patronage of this breed. Roseneath was the name of his estate at Dumbartonshire. 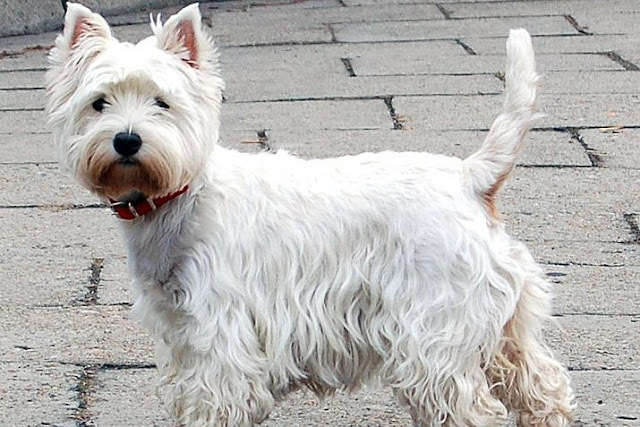 In the first-ever dog show that were organized in the late 1800s, the Westies were called as White Scottish terriers. In 1904, they were classified under the name West Highland White terriers. During the mid-1900s, breeders of the Cairns in Argyll, Scotland selected white puppies from the stock and interbreed some to obtain white Cairns. However, in 1917, the American Kennel Club ruled that Cairns could be listed if they have the Westies' lineage. We can say the history repeats itself for this delightful terrier is now mostly a favorite companion dog of many households.